How much money do you think the average coupon shopper saves in a year? Would it surprise you that it's more than $1000? Most coupon shoppers slowly build up a surplus of shelf stable groceries, and splurge on prime choice vegetables and meats. Coupon shoppers always have full cabinets and fridge drawers of top name brand foods. Coupons, spend less than average shoppers at the grocery store. The question, then becomes, could YOU become a coupon shopper and save over $1000? This is the first and most important step. A coupon shopper never pays full price. They will wait until the items they want are on sale. They buy produce when it's in season, and stop cabinets up with multiple when there is a sale. This allows for extra room in every weekly budget to buy the fresh items that are often viewed as high dollar groceries. Always looking at the sale list and using coupons is the only thing you must do to save $1000. Couponers collect coupons from any sources. This process is referred to as building your coupon stash. You can get newspaper coupons from workplaces who do not use Sunday papers, or from neighbors or friends. You can also buy Sunday inserts from coupon suppliers online. You can pick up tear pad coupons and hang tag coupon in stores. It's easy and free! This allows you to have many savings options at your fingertips when each new sale ad comes out weekly. 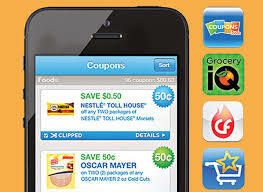 You can also save a lot of money by utilizing digital coupons through your home computer or phone app. These deals are offered by manufacturers through the County Market website and app. You can save a lot of money each and every week. You can also earn small amounts through apps like Ibotta, Honey, Shopkick, Fetch Rewards, and more. Many have you scan your receipt after you checkout for points. These points are then added until you reach a redemption level. As you learn to coupon shop, you can connect with other savers through County Market Coupon News Facebook page. You'll get weekly updates on Coupon match ups, tips, and unadvertised deals. Most like minded savers like to share their experiences with others for encouragement. Join us, and save MORE than $1000 this year.